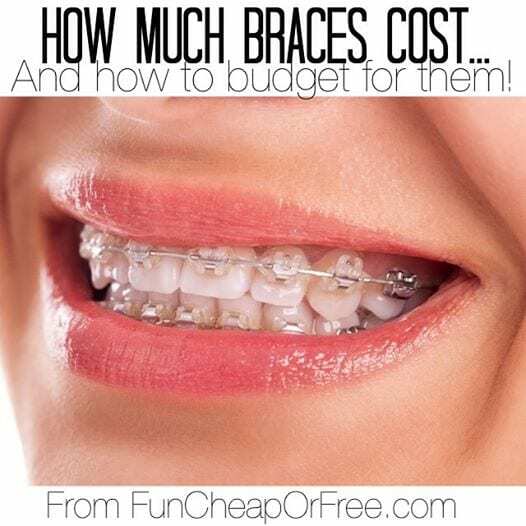 How much braces cost (or Invisalign)…and how to budget for them! So today's post is dedicated to showing you how to budget for braces! It's all about the financial side of getting braces or Invisalign, and how to be able to work it into your budget if it's something you want to do. 1. Every financial situation is different. If you are in debt (except for a reasonable mortgage) or don't have a solid savings built up (6 months to live on is a good start) then I really recommend being patient, practicing delayed-gratification, and waiting until that's taken care of. Yes, it might mean one year. Or two. Or five. But sacrifice is giving up GOOD things for GREAT things. It will happen if you work hard, so don't worry! Just be patient and delay it a little until you get the rest of your finances in order. Hey, that's how we got out of our incredibly scary financial situation as fast as we did…and look at me now. Invisalign and all. 2. Prices may vary depending on where you live, what treatment you need done, and who your Orthodontist is. 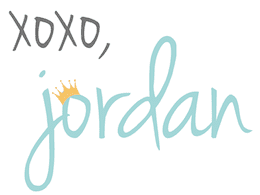 I will be giving very specific numbers based on my OWN treatment, from my OWN Orthodontist (Dr. Parker in Salt Lake City, UT – who will give you $300 off for mentioning you heard about him from this blog, by the way!). So if the numbers are different than your own situation, that's ok! Just use the same principles and information found in this post to find how to make it work out for you. 3. Lastly, be sure to read my “Why I got Invisalign as an adult” post FIRST so you know what the heck I'm talking about. Ok, let's do this, shall we?? About $5,400 would be a pretty hefty case at my Ortho. Invisalign is more expensive than braces – at my Ortho it's about 70% braces, 30% Invisalign. But Invisalign is quickly gaining steam because of how accurate it is; the results are more exact and scientific. But your Ortho will know what's best for you. Down-payment of $2,400 is required to cover the expensive up-front lab fees and equipment. Invisalign makes all the trays up front so the orthodontist has to pay in full within 30 days, which is why they require more money up-front. At my Ortho there is a minimum of $1000 down, but this is more negotiable because they don't have the hefty upfront costs that Invisalign has. Save up! Whether you pay in full for a discount (see below) or put a large chunk down and pay it off monthly, save up as much as you can to pay off as much as you can up-front. Use your tax returns, set a little money aside each month, cut excess spending, or make money on the side to help you save up for the Orthodontic treatment. If you keep reading below, paying for them all at once can really save you a ton of money. Can't afford it? Find HOW to afford it by cutting and tweaking until you find the money. If you don't have an extra $250 lying around each month but you REALLY want braces/Invisalign for you or your kids, you're going to have to make some sacrifices to make it fit. A quick $250? A car payment. Sell your car or go for a cheaper car. Cut cable (there's a quick $60-$90 on average). CUT YOUR GROCERY BILL (talk about a quick cut right there). Don't eat out as much. Have your kids mow lawns on the weekends to make some extra cash. Hold a yard sale. If you reeeeally want it but you're budget is too tight, you're going to have to cut back to make it fit; it has to come from somewhere. No, do NOT put it on a credit card. Life doesn't work that way (or shouldn't, anyway). If you can't afford it, don't do it. Again, don't say “we CAN'T afford it”, say “HOW can we afford it?” and get creative! If it's that important to you, you'll find a way. Finance it and cut out something else to make it fit in your budget. If you can't pay for the treatment in one fail swoop, put as much down as you can, do monthly payments, and be sure to pay them off before the interest kicks in.Pretty much every Ortho should offer in-house financing. Invisalign is case-by-case because of the hard-costs that the Ortho is required to pay to Invisalign up-front. At my ortho it's $2,400 down for Invisalign, no interest for 12 months, payment of $250/month. Less for Braces. My Ortho has something called Care Credit. It's a dental financing plan based on your credit. It's run through GE and has lots of options. For example, you can pay it off over 36 months interest-free. Just know that you can ALWAYS negotiate interest and terms, especially if you have great credit! Dental insurance. If you know you're going to have lots of expensive dental work done, this might be a great option for you! The plans vary greatly depending on whether you're employed or not, and the insurance company you go with. There is often times a large deductible, let's say between $1000 – $3000. So just be sure to do the math. When you add the monthly premium (payment) on top, let's say it's $140/mo, you'll need to add up the deductible + all the months of premium payments to make sure you'd actually be saving money. Dentists and Orthodontists are less likely to give discounts and work with you if you have insurance, so REALLY do your math and talk it through with your insurance company and Ortho before deciding to go that route. I will say this too…private plans and self-employed people get hammered because they don't have the employer volume to pay the plan, so often times you're better off not getting individual insurance (which is mine and my husband's case). But again, DO YOUR RESEARCH! If you save up and pay for the treatment in full, most Orthodontists should offer you a discount. At my ortho it's a 5% full-pay discount. On a $5,000 case that's $250, HUGE savings! I know I sound like a broken record, but I don't want anyone to be freaked out or über excited about the prices I'm quoting. It's just to show you that yes, braces/Invisalign is an investment. BUT…if you plan ahead, save up, and get creative, you can make it happen if it's something that is important to you. My husband lost some teeth in a major work accident and got Invisalign. Because of the large space of missing teeth, traditional braces would lose tension and not work properly. At our clinic there’s not a major difference in price due to his having a new suped up machine. Good thing for us it’s fully covered by WCB!! Oh man what a blessing that it’s covered!!!!!!! I’m so happy for you! Don’t forget about FSA and HSA!! I have lots of dental work I need to have done. Each year we put $1000 in our flex spending account and if we haven’t used it for an emergency by the end of the year when we have to use it or lose it I get a crown or two done. I recently attended a seminar that stated that 100% of all adult orthodontics will eventually relapse. What is the point of paying for expensive orthodontic treatment as an adult when it will definitely relapse? Such a good question!! You’re right, if you leave your teeth as-is, they will most likely go back to the way they were. That’s why I like Invisalign – I get a top AND bottom retainer. As long as I wear them at night when I sleep (which I was supposed to do as a teen as well but my retainer was just a wire one that didn’t work well and I lost it in college) then my teeth will remain corrected. Hi there, thank you so much for this & your other post on ‘braces’. I’ve realized that, as a couple of my kids permanent teeth are in now, I can tell that one of the only gifts their paternal DNA contributor (my ex who left them) gave them is his wonky, crowded teeth! Nothing like getting a gift and then having to pay for it LOL,Then my genes added a special cherry in top and a couple of my kidlets seem to have the space I have in my front teeth. Which. I. LOATHE. (On me- on them I love it!) I never fixed my teeth as a young teen because I was a die hard trumpet/french horn player, but now that $ is a little better for us I’m doing more research. Thank you for opening my eyes to the cost of Invisilalign. We have 7 kids, 4-12 yrs, and now I’m understanding that I will definitely need to save and plan for the 4 who will need work… and that mine will come, in due time 🙂 This really helped! This was longer than I intended… sorry! Thank you for your comment! First of all FELL instead of FAIL?! UGH thank you! Growing up in Oregon you never can tell, we are slurrers and mumblers over there. And you’re welcome for the info, hopefully it helped! ok my child need this her teeth is push back please I am so mad about kids talking about her teeth I need this. i am looking to get invisalign since i am very conscious of my overbite. i had braces when i was a kid but had them taken off since i found them too painful and i also grew out of my retainer. i 100% regret having them taken off! i see that they cost just as comparable to regular braces and I am committed to saving. somehow i’ll do it on a stay at home mom budget 🙂 BTW i am always seeing discounts on Groupon.